Lot 158 Q/R Poster 1946, Southern Railway "T.S. 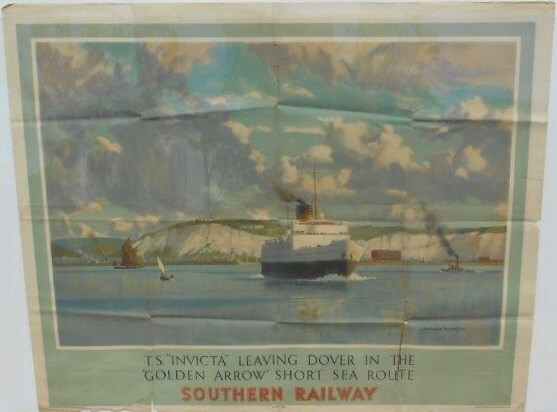 Invicta Leaving Dover" by Norman Wilkinson. Activity in the Straites with the white cliffs forming the background. Folded with some wear and tears on folds.